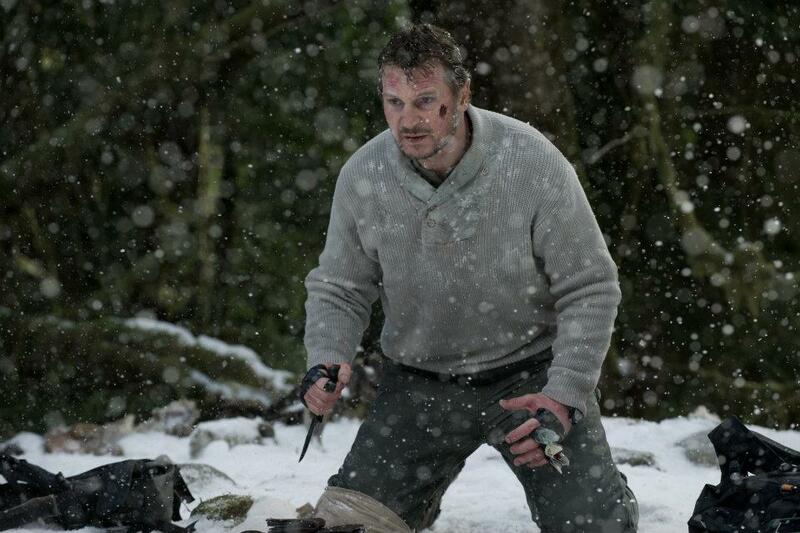 Liam Neeson fighting wolves? You had me at hello. The nature thriller is a bit of a lost movie genre these days, and it’s a throwback to an era where we didn’t actually have the technology to depict what it would be like for giant robots to fight giant lizards in accurate manner. Since we do, a simple concept like “Plane crashes in Alaska, survivors struggle to remain as such”, can seem a little pedestrian. Thankfully, The Grey is anything but. It’s an extremely effective drama first, action thriller second, but there’s enough suspense and tension to placate even the most jaded of modern audiences. Neeson plays John Ottway, a man who’s hit a bit of a rough patch in his personal life. He’s working as a sniper keeping wolves away from an oil rig team, which is a job I had never heard of before now, but now want desperately. When the plane they’re all on crashes in Alaska (in reality Smithers B.C., doing a nice job of pretending to be somewhere you’d actually like to visit) , it’s up to him to try to keep them safe from themselves, from the elements, and of course, a large pack of gigantic, ravenously hungry timber wolves. Of course. 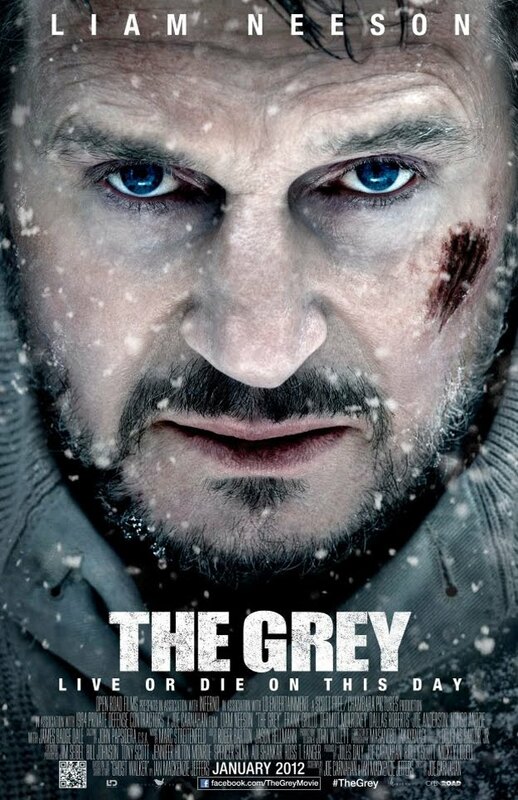 This film exceeded pretty much all of my expectations, as the last thing I was anticipating was for The Grey to essentially be a 2 hour lesson in secular humanism. Neeson’s character knows that the only thing that really matters in life is the relationships we forge in it, and so he fights, and he fights, and he fights, with very little thought to the sheer hopelessness of his situation. Doing the right thing by his team isn’t even a choice for him, it’s the only option; this, despite the fact that he really doesn’t have much to live for, makes Ottway a humanist hero the likes of which we rarely see in films today. I’m pleased to see Joe Carnahan has finally made a movie worthy of the potential he showed a decade ago when he made Narc. It’s not just that The Grey is entertaining…it is, tremendously so. But it also channels pure emotion the way that only film can. You care about these characters so much, that every injury and accident almost seems like a personal slight against the viewer. The script is so meticulously crafted that although slight, it conveys such a large amount of information about each character that we’re all old friends by the time the first wolf shows up. Neeson is a gifted actor, but one whose gifts are often overshadowed by the schlock he peddles. Though the genre tropes of The Grey will probably preclude him from any type of notice come award season, it’s quite easily one of the best performances of his career. The “comic book movie” is a genre that’s been given a lot of attention over the past decade, although what people really mean by the reference is “super-hero” movie. We tend to forget that there have been quite a few great films based on comic books that have nothing to do with superheroes (History Of Violence, Road To Perdition, American Splendour, Persepolis, Scott Pilgrim, Ghost World) to name just a couple). What’s truly rare though, is a super-hero movie NOT based on a comic book. And what’s even rarer, is when one of these is actually good. To my mind, there have been exactly two: The Incredibles, and Unbreakable. Funnily enough, they’re also the two best superhero movies ever made. And now we can add Chronicle to the list. It’s the story of Andrew, Matt, and Steve: Three high school seniors who discover a secret cave that gives each of them telekinetic abilities. There’s some archetypes here, but the character never veer into cliché: Matt’s the cool high school guy that thinks he’s actually too cool to go there. Steve’s the popular jock (played by Michael B. Jordan, who has the strange distinction of being in both the worst movie of the year so far, as well as one of the best), who makes friends effortlessly. And Andrew (the real star of our story) is the misanthropic loner who is one hoodie away from signing up at Columbine. And so we have our characters. It’s Andrew who sees the most potential in his abilities, probably because he’s the one with the most to gain. His father is a drunk, and his mother is dying. He has no friends, and very little future to speak of. And so he uses his camera (yes, this is a found footage movie) to not only document the banality of his life, but to also use it as a barrier that shields him from it. It’s the camera that provides much of the character development in the film, but it’s also the film’s one glaring problem. For a found footage film to work, you have to a) have a really good reason why they don’t put down the camera, and b) have to have someone who compiles all the footage at the end., so that someone else can “find” it. In the case of a), the reason given is a good one, though perhaps not quite as strong as in other similar films. In the case of b), the film makers don’t even try to explain this one, as the “footage” we see is actually compiled from dozens of different cameras, with no explanation as to who the phantom film editor was. Not to mention that the constant intrusion of the camera adds a clunkiness to the dialogue in a few rare scenes, most notably when documenting Andrew’s home and school lives. This is a superhero origin story that Stan Lee would be proud of. Well-rounded teenage characters? Check. Mundane everyday problems that conflict with the otherworldly nature of their abilities? Check. A truly epic superhero battle that changes both participants for ever? Check. In short, it’s the best X-Men movie never made, and one that easily overshadows most of the crap in that overrated franchise. If it sounds like I’m raving, it’s because I am, and because this movie deserves it. 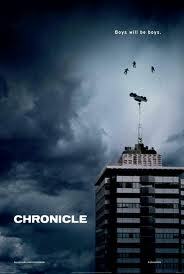 Like last year’s Attack The Block, Chronicle’s visual premise is based on financial considerations, but also allows Josh Trank to come up with many unique angles and shots never really seen in a movie like this. If Marvel Studios was smart, they would sign this guy up to a lifetime contract tomorrow. And if Trank was smart, he wouldn’t sign it. I can’t wait to see what this guy does next. Chronicle is not only one of the best superhero movies ever made, it’s a better story than 98% of the superhero comics on the stands right now. It understands that superhero stories work best when emphasizing the humanity of the superhumans they’re telling us about. It’s also that very rare film that makes me clamour for a sequel. This entry was posted in Movies and tagged Chronicle, Movies, The Grey. Bookmark the permalink.